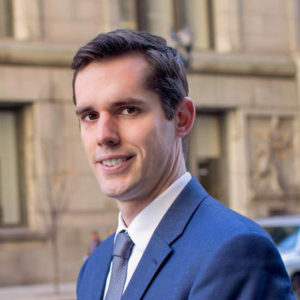 Brian Duffy is an associate attorney with Malatesta Law Offices, LLC. Mr. Duffy earned a Juris Doctorate from The John Marshall Law School and is licensed to practice law in Illinois. Prior to working at Malatesta Law Offices, Mr. Duffy worked at a personal injury law firm on cases involving complex corporate structures, insurance policies, and agency theories providing him with an understanding of the many issues that underlie complex litigation cases. Additionally, Mr. Duffy specialized in working on premises liability, automobile accident, and wrongful death cases. As a law student, Mr. Duffy worked as a fellow for The John Marshall Restorative Justice Project. He advocated for restorative programs that rehabilitate by providing community-oriented techniques to resolving conflicts and crimes. As an undergraduate he competed in baseball at the University of Maryland and went on to coach at the United States Naval Academy. Mr. Duffy is a talented attorney who has obtained tremendous results for clients in arbitration, trial and in settlement. Mr. Duffy is a member of Chicago Bar Association and Illinois State Bar Association.